JAI Polytechnic' is a moderate beginning in the field of education. It has long been felt that there is an acute shortage of skilled manpower in the country. The other members of the Trust are highly educated professionals. The sole objective of the Trust is to provide quality education, particularly to the rural folk. 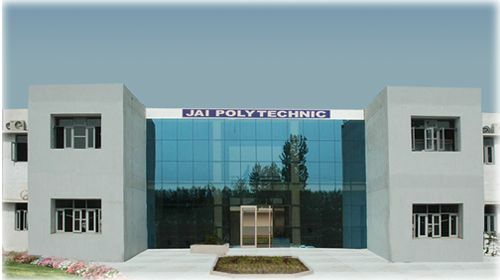 JAI Polytechnic located on Shahabad-Barara Highway in a rural, pollution free and green surroundings at Village Adhoi, JAI Polytechnic is at a distance of 30 km from Ambala & Yamuna Nagar, 15 km from Sahabad and 3 km from Barara. Besides ideal location & architectural beautify, the building presents a picture of grandeur & sobriety.